If you had the choice, would you receive non-emergency hospital treatments at home? Julie Adams from Chemo@home lets us in on where home hospital treatments may be going. 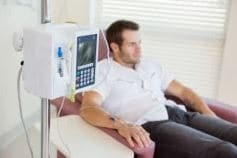 Would you do Chemo at home?